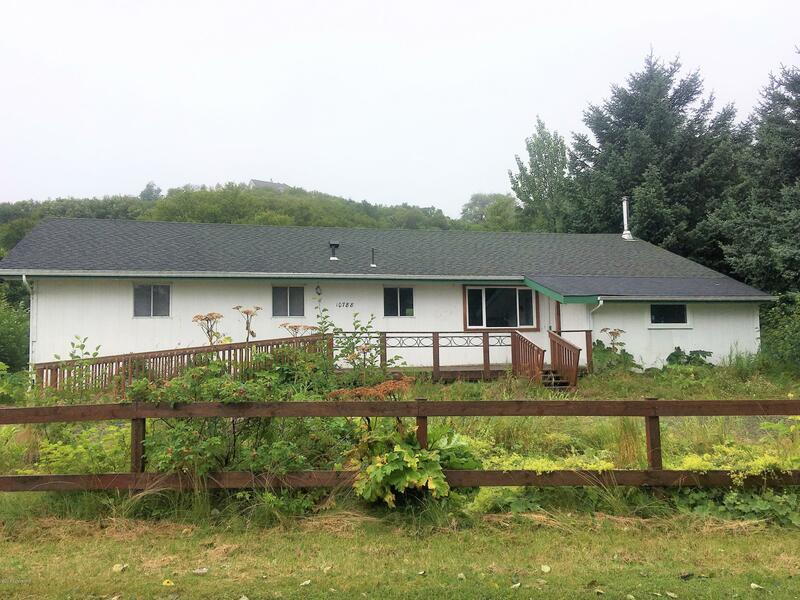 10788 Kalsin Drive, Kodiak, AK.| MLS# 18-16482 | RE/MAX of Kodiak - Alaska Real Estate - "Honesty & Integrity...It's That Simple!" This newly remodeled home nestled in beautiful Bells Flats sits on 1.31 acres, and includes 4 bedrooms and 2 baths. New vinyl plank floors run throughout the home and the kitchen has been updated with all new cabinets and appliances.The renovation included new bedroom windows, attic insulation, water softener installation, and new exterior fascia boards.